The BACU Association -- the folks behind the incredible brutalist Socialist Modernism Tumblr -- have announced a limited run, 800-copy book collecting photos and details on 242 Socialist Modernist "objects" in Romania and the Republic of Moldova. The book is in Romanian and English, and costs €64.30 with worldwide shipping (slightly cheaper in the EU). I've ordered a copy! As a result of B.A.C.U. 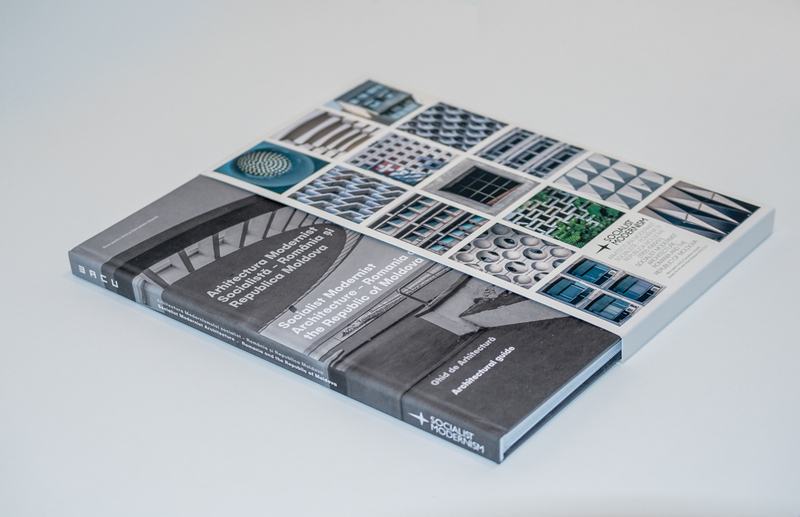 Association’s efforts to publish the Socialist Modernist research, we are happy to announce that the first Architectural Guide of many others to follow, and our second publication, entitled ”Socialist Modernist Architecture – Romania and the Republic of Moldova” will be available starting December 1st, in 800 copies. The 242 architecture objects included in this volume have been organized by function, into eight sections. At the beginning of each section, a map shows the location of each of the buildings described. The authors’ viewpoints and assessments make this volume a surprising incursion into the history of architecture.